Model #: HP3048E Click here to view the whole product line. This 48volt single phase 3000 watt inverter charger is a combination of power inverter, battery charger and AC auto-transfer switch . This is probably the most reliable single phase 3000 watt inverter charger on market. Thanks to its big transformer inside, it outputs 3KW rated power from 48volt battery bank with 12,000 watt surge capability. This 300% surge lasts for 20 seconds which is notably longer than competing 3000 watt inverter charger models. This 3000 watt inverter charger includes a battery charger, pure sine inverter and transfer switch. It virtually works as a UPS when connected with batteries. Its 5 DIP switches enables users to set the 3000 watt inverter charger specifications according to their specific demand including battery low voltage shut down, AC input voltage range, power saver mode, output AC frequency and battery priority mode. This single phase inverter also has Auto Generator start for engaging a generator when battery voltage goes low and battery temp sensor for accurate battery charging. 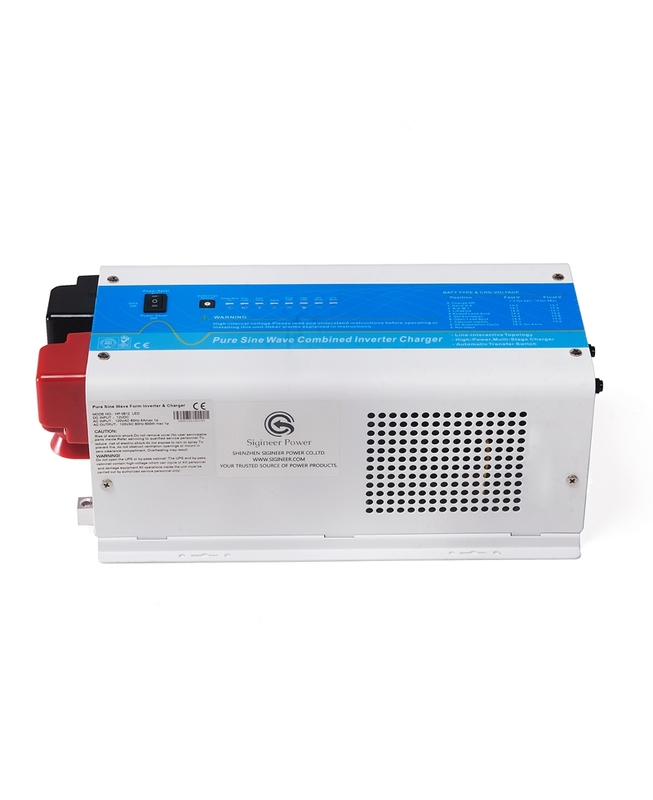 Apart from 220/230/240 V ac for European, Australian, New Zealand and Asian markets, this single phase inverter also have 100 /110 / 120 vac output for American markets. Some of the 120Vac inverters are UL458 listed. This inverter can be built with an optional MPPT solar charger controller of 48Vdc 80Amp for solar installations.